Apple iOS 12 May Change Your iPhone Lock Screen: We are just a few days away from Apple’s first big event of the year – WWDC 2018. The company will be hosting its annual worldwide developers’ conference in the US, starting June 4th and run through June 8th. At this year’s developers’ conference, Apple is likely to introduce the next iteration of its mobile operating system iOS, iOS 12. So far not many details are available about the upcoming OS. However, one of the websites has shared some illustrations on how Apple may revamp the lock screen with iOS 12. 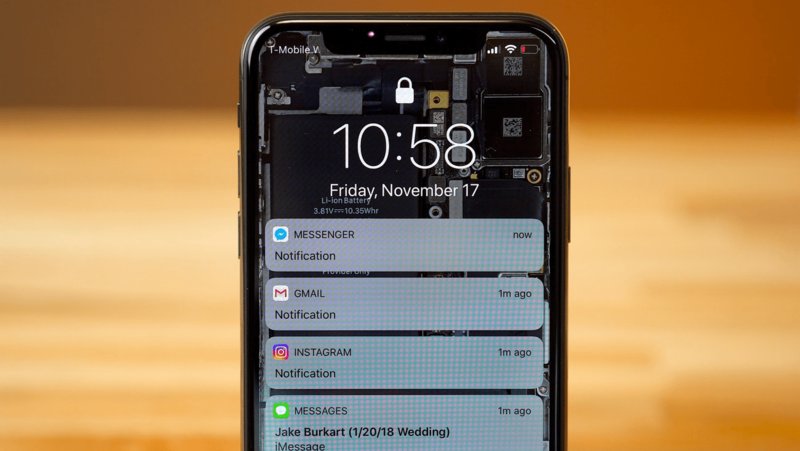 Shown in multiple concept images by the iHelp BR via 9to5 Mac, the iOS 12 lock screen could get Apple Watch-like Complication feature. It means that users will be able to choose app shortcuts that will be shown on the lock screen and will make it easier to access them. These icons are said to support the 3D Touch, using which will show users a detailed view. The images show complications for apps such as the Phone app, weather, music, stocks and more. There could also be an always-on mode for iPhone X-like what we have seen in the several Android smartphones. The feature will show the complications shortcut buttons and the time with a fading effect. It is worth noting that all these iOS 12 features are just rumors and are showing in concept images. We are yet to see how many of these see the light of the day. Apple last week sent out invitations for its WWDC 2018 that will take place at McEnery Convention Centre, San Jose, California. Besides iOS 12 Apple is expected to reveal the next version of macOS, tvOS and wears. So, these are the points to describe on the Here is how the Apple iOS 12 may change your iPhone lock screen. Suggest your comments on the Article as mentioned above.